If you’re a Stay-at-Home-Mum (stay at home mum), chances are you’ll be latching on most of the time, occasionally expressing milk out. You may do without a breast pump and learn to hand express. Youtube has video tutorials on how to hand express your breast milk. Alternatively, you mâ€‹ay only require a single electric breast pump or a manual pump. If you’re intending to latch on most of the time, a single electric breast pump or a manual pump may also be sufficient to occasionally relieve engorgement. If you are intending to head back to work after your maternity leave or are feeding your baby express breast milk most of the time, a dual electric pump is the most convenient, although more costly. Some products offer a hands-free option, allowing you to work while pumping. A dual electric pump is also ideal as it can half your expression time. Consider purchasing an extra set of accessories, to reduce the hassle of bringing them to and fro the office daily. While price is an important factor to many, also consider the cost of replacement parts. Check with the retailer on how often or the parts need to be replaced and how much these will cost you. Find out what the warranty covers and whether any cost will be incurred for replacement parts if you service it within the warranty period. Most breast pumps on the market come with a 1 year local warranty, so also ask for the cost of servicing the breast pump after that in case you decide to breastfeed your baby any longer than a year. If you are still undecided, choose your breast pump only after the delivery of your baby. Meanwhile you may loan one while at the hospital or try out at the Breastfeeding Mothers’ Support Group (Singapore). 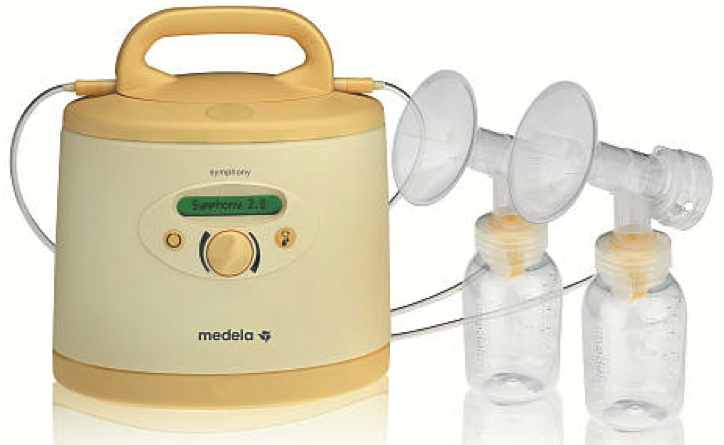 This allows you to determine if a breast pump is suitable for you. Deciding on a breast pump after having your baby may also allow you time to consider your lifestyle and breastfeeding options. For example, you may initially decide on feeding expressed breast milk, but later on feel that latching on is a better option for you. Or you may have decided to be a stay at home mum instead of returning to work. This may mean that you can save money by purchasing a lower-end model. Getting the right breast flange size is also important as it helps in maximizing your output and comfort level (which in turn allows for maximum expression volume), although not all brands offer this option. If you are intending to purchase a used breast pump, it is advisable to purchase a brand new set of accessories for hygiene purposes.